There are other ways of looking at blood flow in tumors. CAT scans and CT radiation imaging was spectacular at finding breast cancer except the radiation dose was so high that patients were developing lung cancer from it. Also, claustrophobic people couldn't fit into the CT or the MRI tube. MRI also uses the blood flow technology but some people are allergic to the contrast from the CT or the MRI. We also learned that the MRI contrast is depositing now in the brain, causing other problems that we're just being aware of. The Doppler Sonogram is technically instantaneous. You put the probe on the breast, find the area, pinpoint it, press a button and seconds later you have the map showing the types of vessels, the location of the vessels. You have a program on the computer to give you a vessel density measurement which shows how aggressive this is. Instead of the genetic markers, which are very popular, showing how aggressive a tumor will be, this is a visual way in seconds that's being used worldwide to show cancer vessel aggression. Tumor aggression by blood flow evaluation is used worldwide in nuclear medicine, CT scans and MRI technology, however, the simplest way is the non‐invasive 3D Doppler breast procedure. LET'S UNITE IN THE FIGHT! 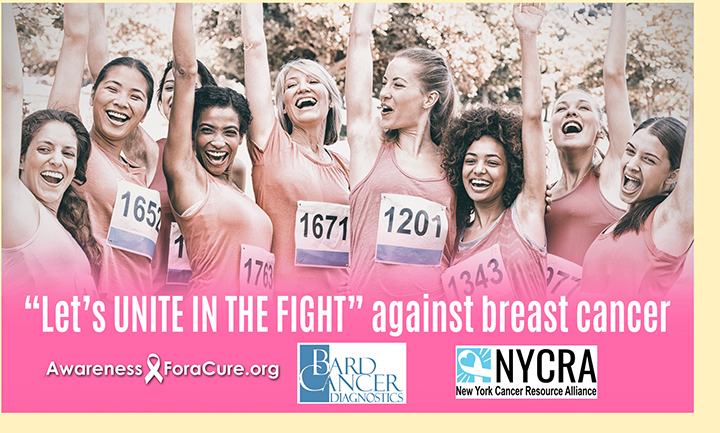 In the spring of 2018, Bard Cancer Diagnostics (BCD) recently partnered with AWARENESS FOR A CURE (501c3) and The NY Cancer Resource Alliance to join the battle against breast cancer by establishing a foundation-based Cancer Screening & Monitoring program for all members of non-profit Breast Cancer Organizations and NY-based Women's Groups. This unique program works with all major health providers to bring the most up-to-date technologies and alternative diagnostic solutions (including "2nd Opinion" reviews) and regularly scheduled monitoring and EARLY DETECTION SCANS - all at a significantly reduced rates. Advanced Digital Imaging technologies provide accurate use of sound waves to produce real-time images of the inside of the body. It is used to find anomalies and help diagnose the causes of pain, swelling and infection in the body’s internal organs while allowing the diagnostician the ability to zoom and ‘travel’ deep into the body for maximum exploration. Digital Imaging technology is also used to help guide biopsies and in many cases, even replicate much of the same reports of a clinical invasive biopsy. Imaging solutions such as high-powered Sonograms, Spectral Doppler, sonofluoroscopy, 3D/4D Image Reconstruction and the Spectral Doppler are safe, noninvasive, and does not use ionizing radiation. They also have the ability to provide early detection scans. ** Three STAGING OPTIONS are available depending on the patient’s current needs- to be discussed with practitioner prior to or during examination. • SONOGRAM: Seek subdermal masses, breast lumps, tumor growths, fluid-filled cysts, nodes or hematoma. Sonography can be performed in multiple scan planes with real time 3-D image analysis with power and spectral Doppler flows. • SONOFLUOROSCOPY: of intra/subdermal soft tissues is to be performed in multiple scan planes with varying transducer frequencies. • 3D/4D IMAGE RECONSTRUCTION: For any lesions that are homogeneous echogenic and well marginated on 3D and 4D computer histogram analysis. • SPECTRAL DOPPLER: Search for hyperemia of any lesions. Power Doppler will show normal flows in the adjacent arteries/veins. Spectral flows will show normal tri-phasic waveforms. Search for any peripheral lesion abnormalities or focal vascularity. 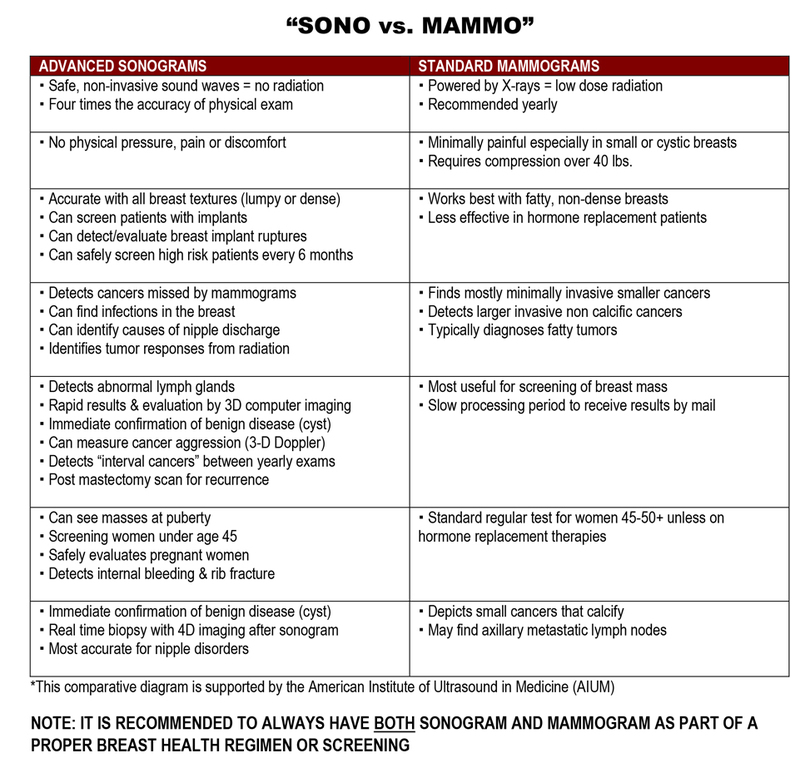 The current standard in screening for breast cancer is mammography. 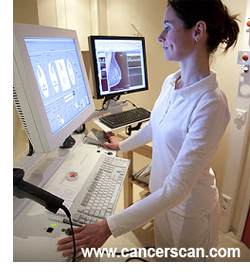 However, this imaging tool misses some breast tumors, especially in women with dense breasts. Published data suggests that sonography can play an important role in detecting tumors that mammography misses. In fact, over 94% of cancers seen only on ultrasound were invasive tumors with average size of 10 mm, and in the studies where staging was detailed, 91% were node negative, meaning it had not spread and complete cure was possible due to early detection. Power Doppler Sonography adds increased accuracy to breast imaging evaluation over ordinary ultrasound because it shows higher blood flow speeds, often a sign of cancerous activity in the breast. Studies have shown that suspicious blood flow identified by pre-surgery Power Doppler scans corresponds very well with the size, location and aggression of actual tumors that are then surgically removed. 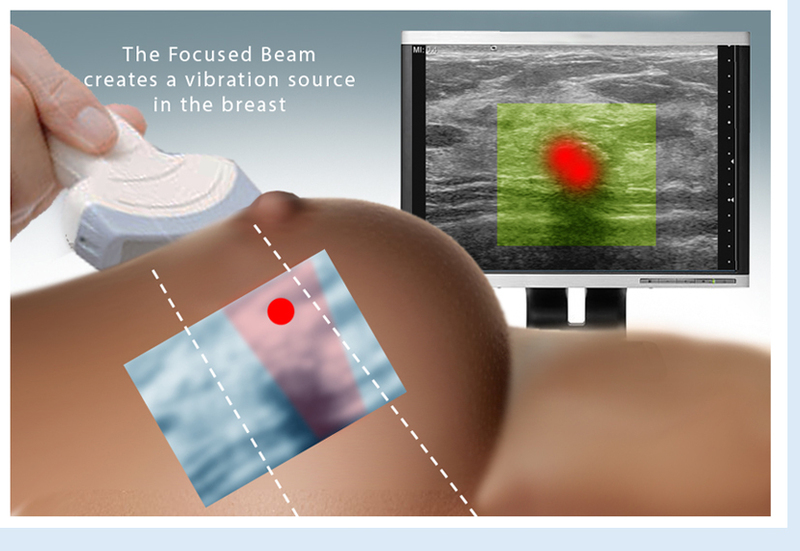 Thus, Power Doppler brings an important clinical dimension to breast cancer detection. 3D sonography clearly shows tumor margins and 3D Doppler affords an index of cancer aggression and metastatic potential. Women who should consider ultrasound scanning of the breast include those at risk of breast cancer because of personal or family history and the presence of fibrocystic (dense) breast tissue which increases cancer risk by 400%. MPR-TV reports on Advanced Cancer Doppler Imaging. Meet Dr. Robert L. Bard (award-winning cancer diagnostician and expert imaging specialist) and see him break down the difference between a benign tumor and a fully-blown cancerous cell- and how using his advanced 3D and 4D Doppler technology makes all the time-saving difference in getting an accurate study. Since 1973, Dr. Bard established global recognition in the medical field through his contributions in the advancement of cancer diagnostic innovations. His special use of advanced imaging technologies are widely praised as the painless alternative and a more accurate innovation as well as a much faster solution for acquiring results over surgical biopsies. For the patient, it's a world of difference and immediate peace of mind when the 3D imaging establishes the diagnosis during the examination as you literally see the pictures in front of you in real time. Q: How accurate is your Advanced Sonography in identifying cancers? We have a 98% accuracy in malignant melanoma detection; 90% for cancers in dense or lumpy breasts; 85% for prostate cancer. Women with cystic breasts have a 500% increased risk of developing tumors which are more accurately detected by high resolution sonograms than by mammograms. The leading cause of death in women 25-45 is metastatic melanoma which is rapidly diagnosed with ultrasound. Q: Give us an example of your 4D Scan's accuracy over conventional diagnostic methods? In my experience, patients typically prefer bad news immediately than having to wait and worry for weeks following an MRI study or biopsy and can then plan definitive treatment options in a timely manner. Use of 4D imaging lets us readjust the focus and resolution in order to tell the patient in the moment about the status of the tumor’s containment and the probability of dissemination to the bones and adjacent lymph glands. Q: What types of cancers are you most commonly capturing? Sonogram technology is most useful to rule out a cancer, such as the common benign lump diagnosed painlessly diagnosed as a breast cyst. The tumors that are significant (high grade vs. low grade) show up better on sonogram than MRI, CT or x-rays. Q: How can digital scanning be instrumental in Early Detection? The scan is quick and painless and can image a bump anywhere in the body, including squirming babies due to real time capability. Most patients who have had a cancer are concerned about any new bump or change in their health status. The results are immediately conveyed so there is less anxiety in the procedure. Most lumps tend to be benign so the 99% percent assurance that the problem is a fatty tumor or cyst rather than a metastasis is reassuring. 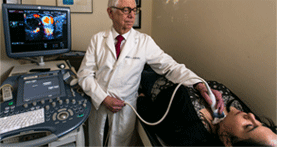 Q: What are the benefits of using the Doppler Ultrasound imaging for BREAST CANCER? A major European study (R.E.C.I.S.T.) discovered that dying tumors can swell with fluid and debris which means that relying on size alone is not always valid. Doppler flood flow is a sonogram technology (like the weather map) that more accurately measures the feeding arteries that supply and nourish the cancer. Since only 3% of prostate cancers and 3% of breast cancers (both are glands) are fatal, we can quickly assure our patients that a tumor is low grade and be possibly treated with less aggressive modalities even if it enlarges during treatment. Tumor aggression is proportional to the number of cancer arteries feeding the lesion and treatment monitoring by follow up Doppler will show changes (increase or decrease) in the blood vessel density. Diminution of tumor vessels implies successful therapy. While surgery is the medically accepted form of treatment, alternatives such as thermal ablation are being used (freezing, laser, focused ultrasound) in certain instances where surgery may be contraindicated. Q: Why scan the lymph nodes in the axillae? Sonograms of the axillary lymph nodes in the armpit can show if the tumor has spread before surgery. This changes the staging to a higher grade and requires different treatment protocols. Q: What recent upgrades do you see in the cancer imaging industry? Image guidance treatment means that a tumor seen on sonogram can be directly targeted for needle placement by the minimally invasive treatments of: Laser, cryotherapy (freezing), focused ultrasound (HIFU), radiofrequency ablation (RF) and other modalities such as radiation or surgery. With the advance of gene therapy and stem cell treatments, non-invasive imaging can determine treatment effectiveness ongoing since we know that cancer cells can outsmart immunotherapies in time. Validation of successful therapy is measured with all imaging modalities by regression or disappearance of the internal arterial vessels. Q: Can this technology be useful in other health issues and disorders? In 1972, the director of my residency program in radiology told me not to waste my time learning ultrasound. Sonography is now the first line of diagnostic imaging worldwide, although less extensively practiced in the United States of America. Musculoskeletal issues (arthritis, tendinitis) can be studied without radiation or MRI. Preventive scanning discovers a weak ligament (marathon runner in training) before it tears allowing earlier treatment and lessened disability. Inflammatory skin disorders (psoriasis, acne) can be analyzed allowing better treatment. In summertime, splinters and glass embedded under the skin surface are identified and can be removed under ultrasound guidance with less surgical exploration and minimal tissue damage. Many routine imaging procedures can assure people that they are at risk for a disease or catastrophic medical event: heart scans, virtual colonoscopies, and lung screening are a few examples of ways to encourage healthy choices (nutrition, supplements, exercise, stress management, etc.) by reinforcing them. BARD CANCER DIAGNOSTICS is founded on the commitment to explore and implement the latest diagnostic technologies as a means of building the proper treatment strategy of many types of cancers. We also specialize in PREVENTION solutions for our patients who strive to maintain a health-conscious lifestyle as well as those who are at increased risk of certain diseases (hereditary factors or environmental exposure to toxic substances) by confirming that their efforts to prevent disease are working. Using state-of-the-art equipment, Dr. Bard’s practice offers unique forms of sonography to evaluate blood flow related to tumor activity and to identify areas of suspicion. 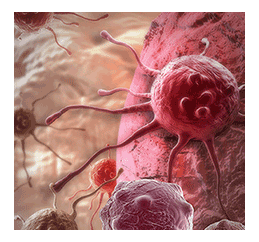 More tumor vessels signifies more aggressive disease. 3D & 4D analyses are non-invasive and rapid with results available to the patient during the visit. Patients in need of reassurance and world class imaging come from all countries for cancers of the prostate, breast, skin, thyroid and melanoma. 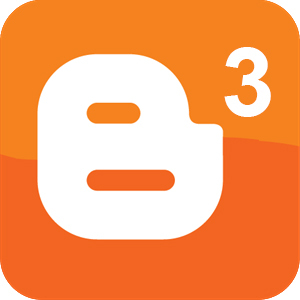 As of Jan '18, Dr. Robert Bard spearheaded a partnership with a host of cancer educators, medical practitioners and non-profit foundations (allied under AwarenessforaCure.org) to form a public resource program to aid in the advancement of the public's understanding about self-preservation from cancer and other chronic diseases. EARLY DETECTION & PREVENTION is a global health movement that promotes a higher regard for "clean living" - from toxins and a toxic lifestyle. Our program consists of four main efforts: EDUCATION, COMMUNITY CONNECTION, CURRENT NEWS & CLINICAL RESOURCES. EARLY DETECTION & PREVENTION brings the empowerment of wellness through group seminars, videos and the distribution of current articles & newsletters published/shared to all the major cancer charities and their members. According to the World Health Organization, early detection of cancer greatly increases the chances for successful treatment. In the ongoing battle against cancer, it is common knowledge that most cancers in their early stages are far more likely to be treated with positive results. Moreover, a thorough checkup of one's physiological analyses, heredity review and personal data gathering (from blood & dna tests) are all strong info-gatherings for early warning signs that someone may be a candidate for cancer. PROACTIVE tasking starts from AWARENESS, EDUCATION & REGULAR SCREENINGS. The right attitude of self-preservation and an appreciation for longevity is lesson #1. Pursuing a balanced lifestyle covering all the bases of nutrition, exercise, sleep, detoxing and de-stressing is also part of an overall plan for better quality of life. 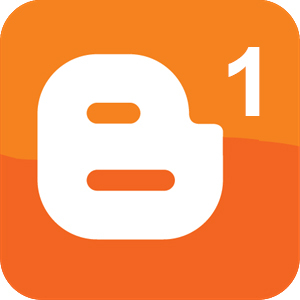 Copyright © 2018- Bard Diagnostic Publishing. All Rights Reserved.